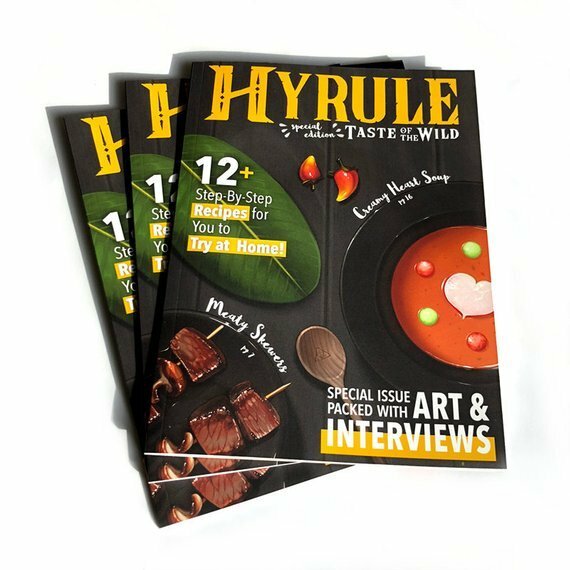 HYRULE: Taste of the Wild is a Zelda: Breath of the Wild fanzine that's a mock cooking magazine! It's a fan made unofficial art book featuring over working real life 12 recipes written by real chefs and illustrated by a group of talented artists. you will be receiving the first edition of this zine!